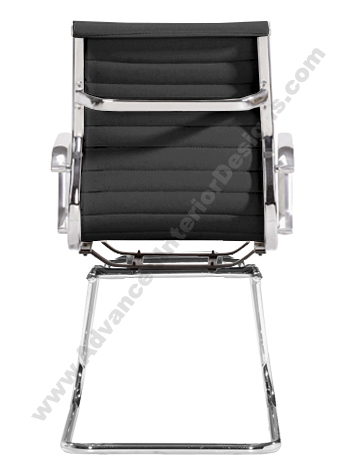 The AG Conference Visitor Chair combines elements of class, comfort & contemporary concepts seamlessly into its form. Emulating from the style of modern classics, the AG Conference Chair features ribbed PU leather upholstery, which provides long-term comfort and is easily washable. High tech chrome plated steel is what adds stability to this piece. The chrome sled base allows for easy movement, which works great in any active setting, while the armrests compliment the level of comfort. 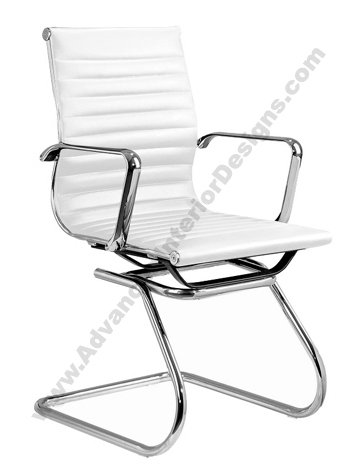 The AG Visitor Chair is a comfortable, stylish, and durable chair which is a must have in any office or home environment. -- Please Choose an Option --	37"H x 24.5"D x 23.5"W: Seat Height -19": Arm Height-26.25"